Welcome to the Art Primo Graffiti shop! Thank you for visiting our online graffiti shop! we are so glad you came. 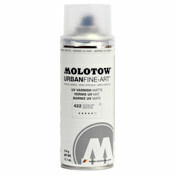 We really would like you to have fun shopping here for graffiti supplies and products. At Art Primo, we live, eat and breathe art. We care about each and every order and we care about you! We hope you like our online graffiti shop as much as our "brick and mortar" shop/showroom.